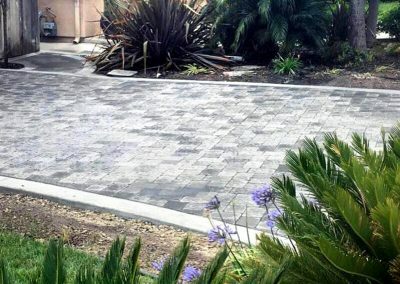 Durable, stylish, and versatile, concrete pavers are an excellent choice for a variety of residential, commercial, and retail applications. 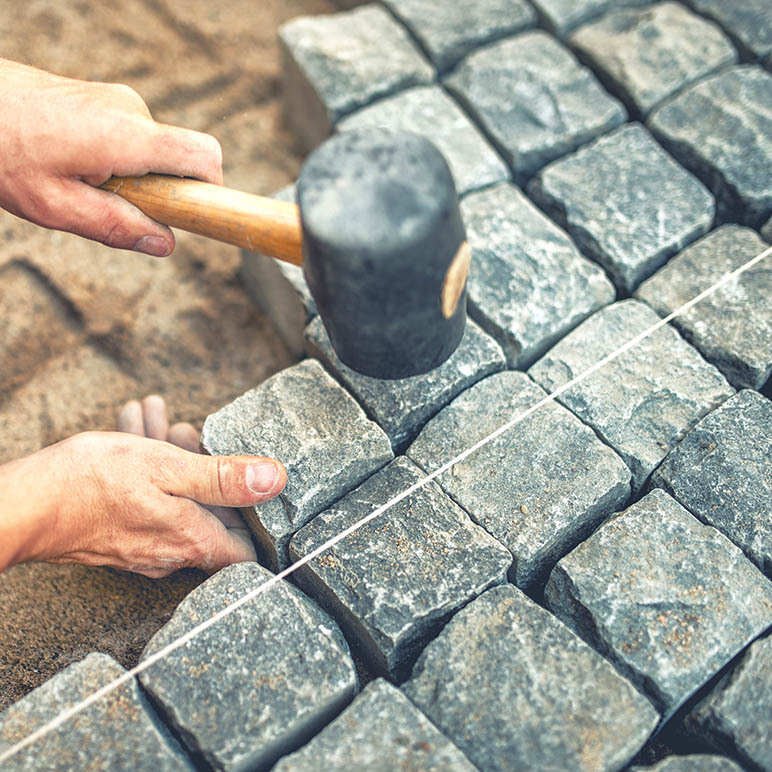 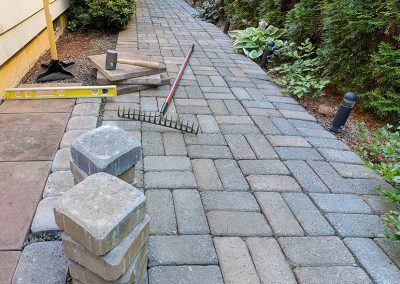 Our expert crew of paver installers are here to help. 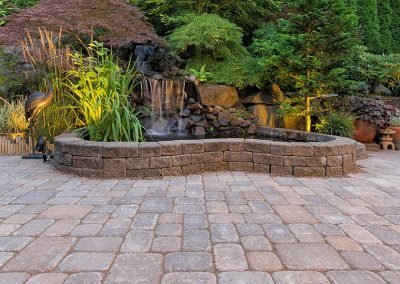 These cost-effective paving stones can make even the most overgrown landscapes look well manicured. 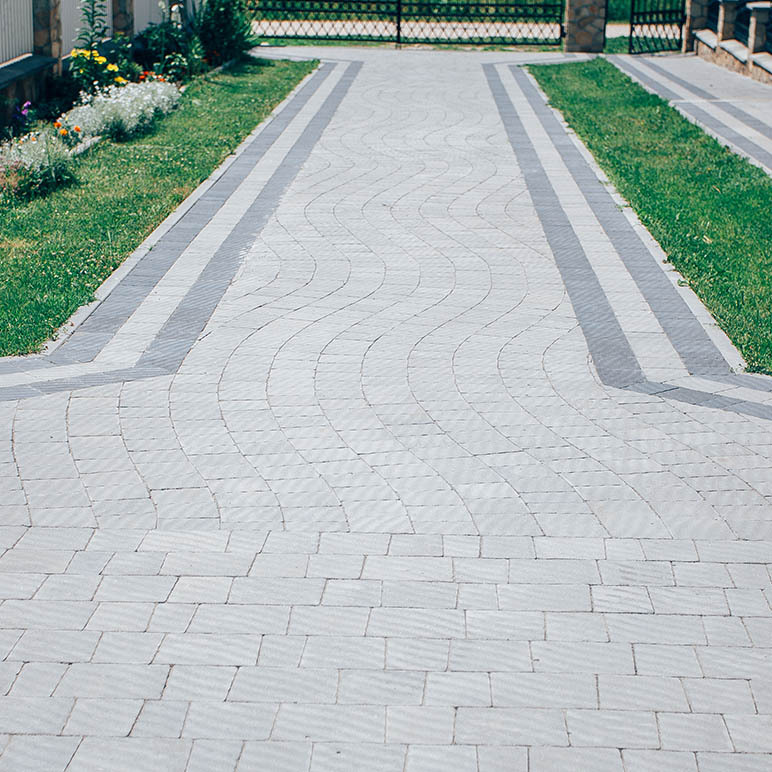 Paving stones come in multiple sizes, shapes, and textures to complement both traditional and contemporary landscapes. 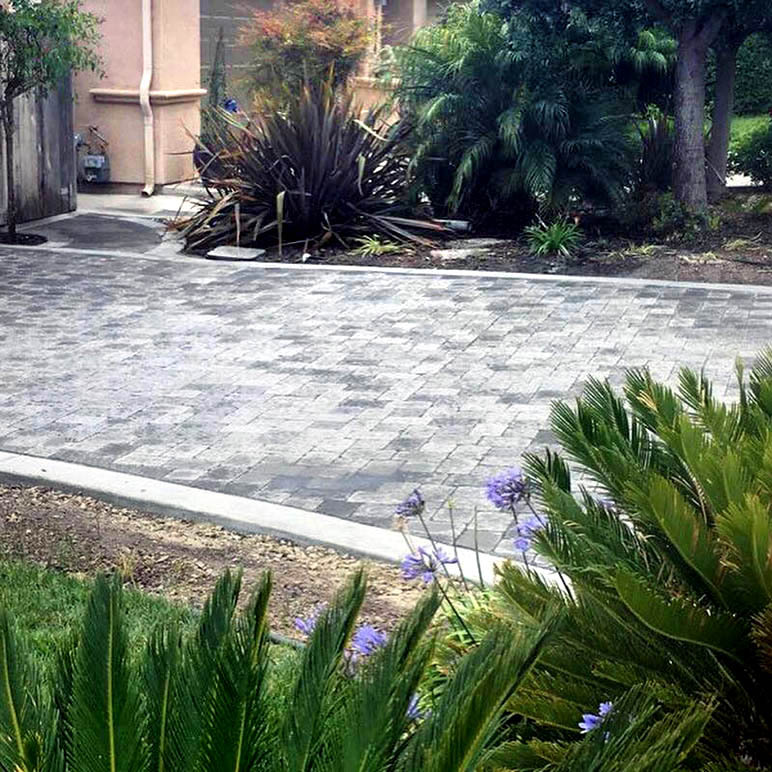 Concrete pavers are ideal for high traffic walkways, driveways, patios, and terraces. 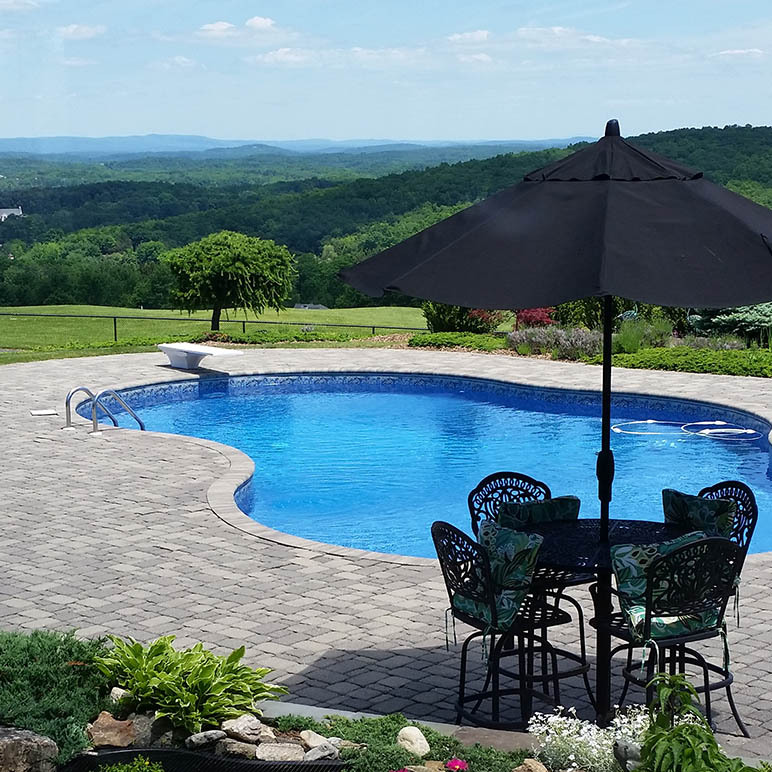 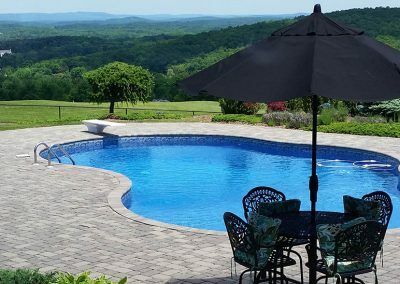 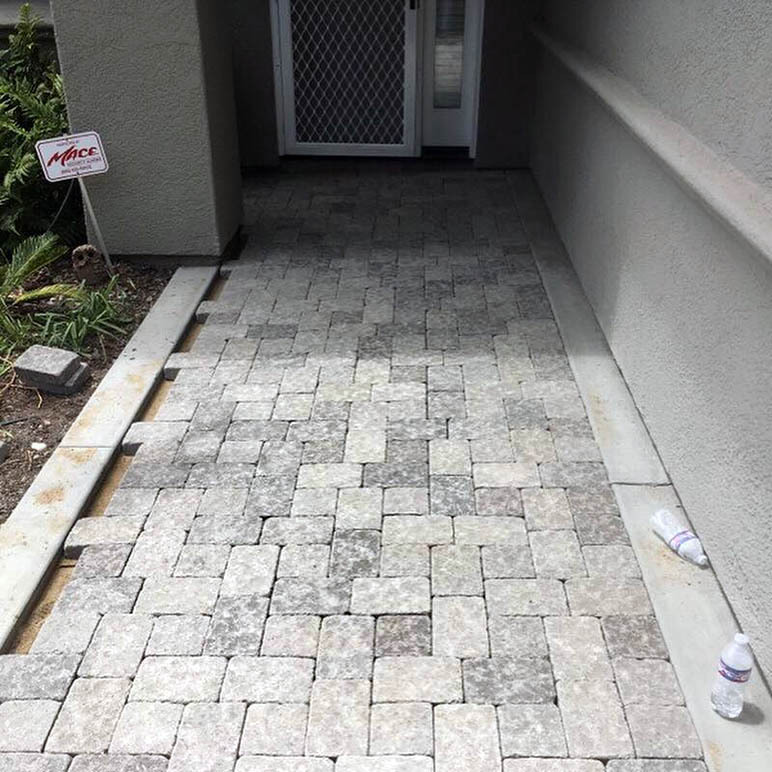 More affordable than natural stone, concrete pavers are a practical, yet attractive, option anywhere on the property. 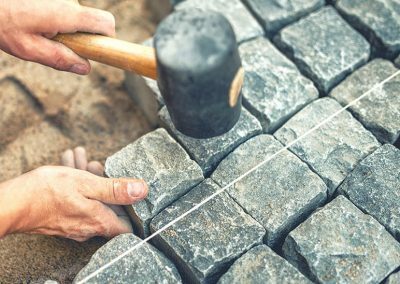 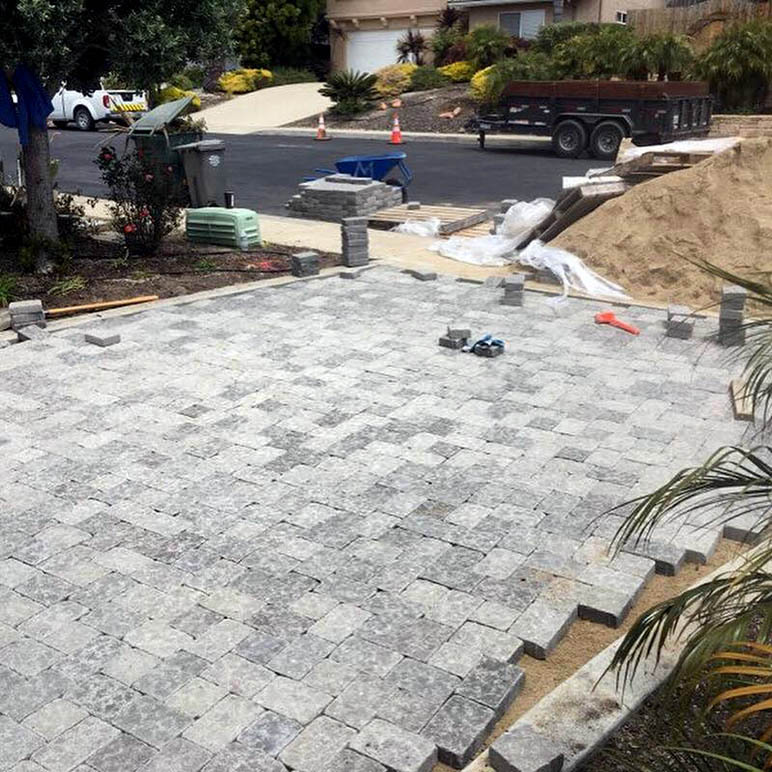 To speak with one of our team members to see if pavers are the right choice for your project, give us a call at (805) 621-3966. 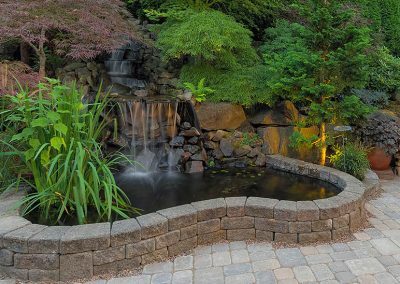 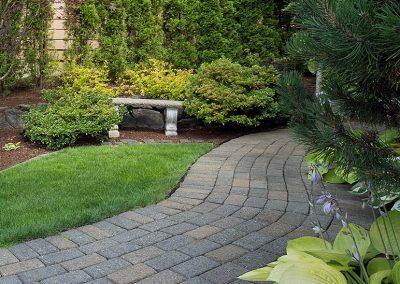 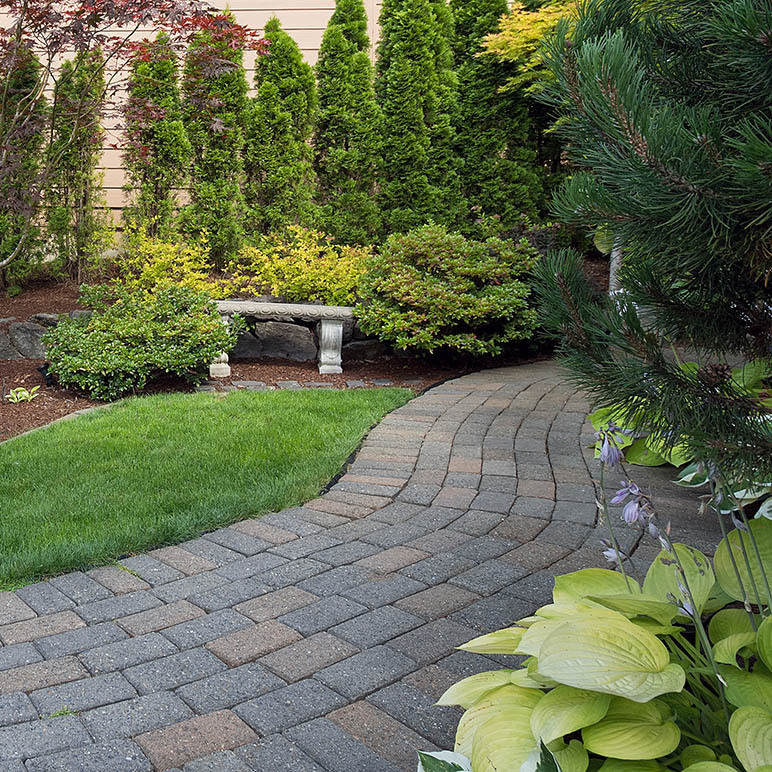 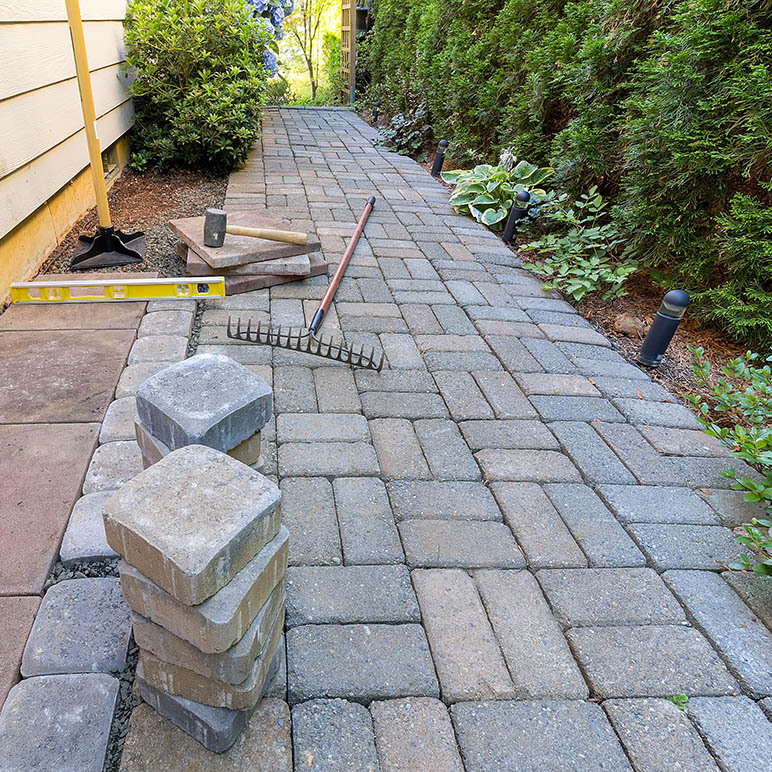 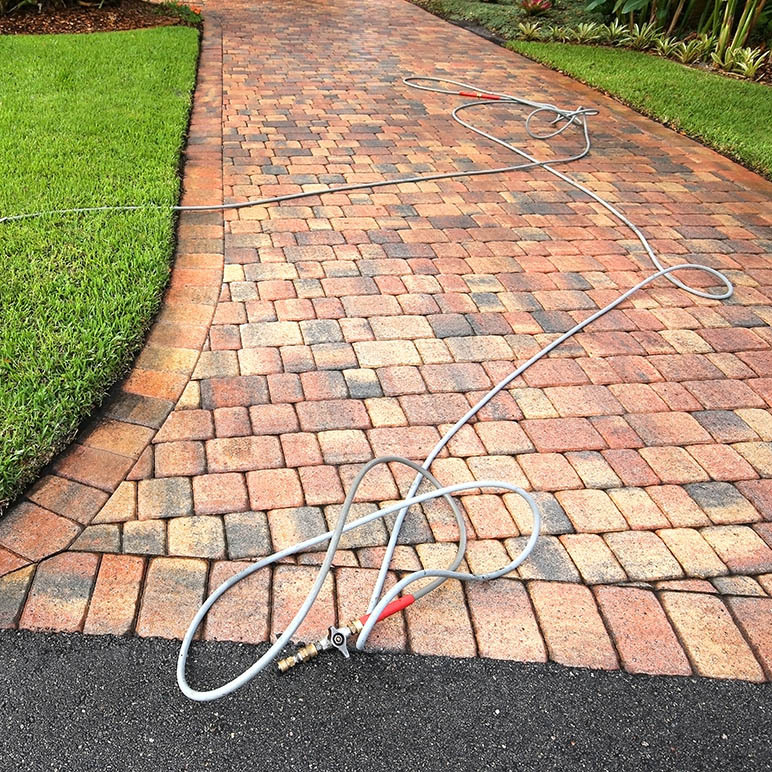 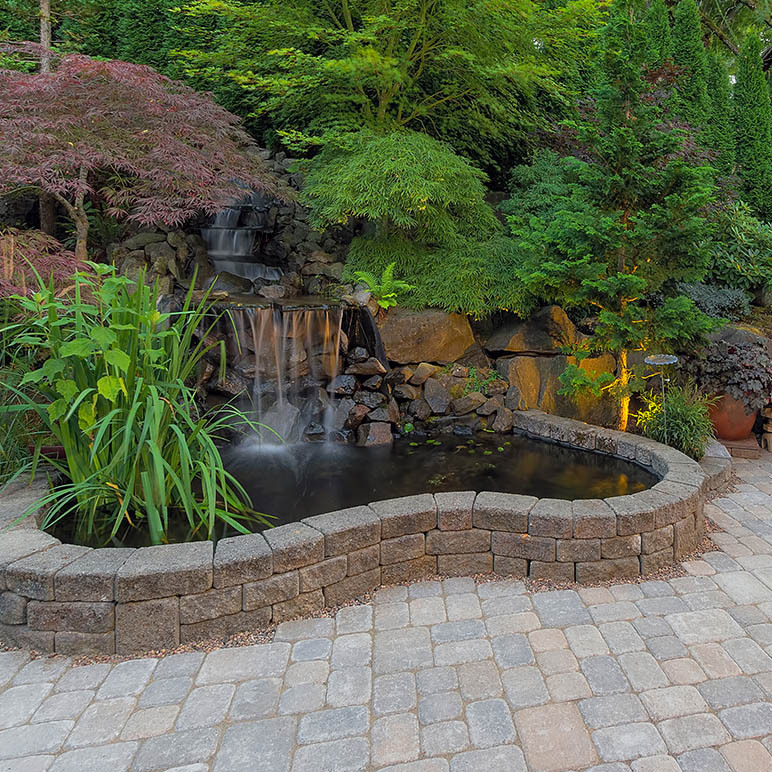 Paths and walkways made from pavers will instantly give your landscape a more refined look. 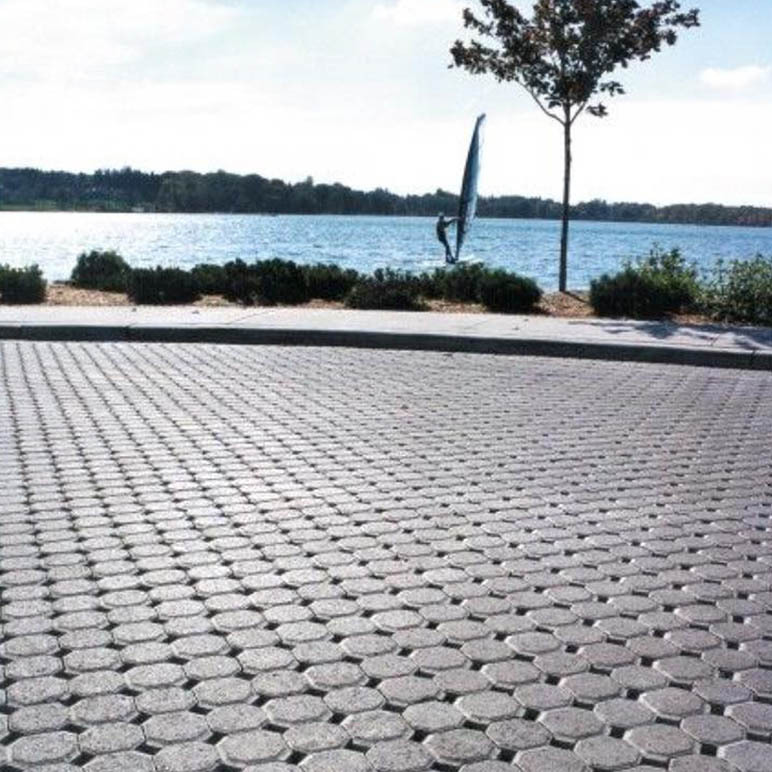 These durable cast concrete stones are well suited to high-trafficked areas including municipal parks and squares. 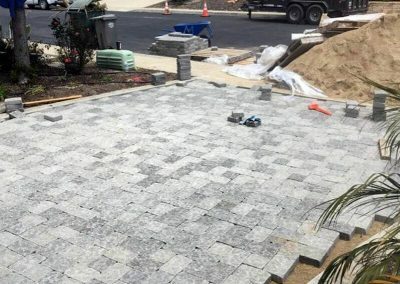 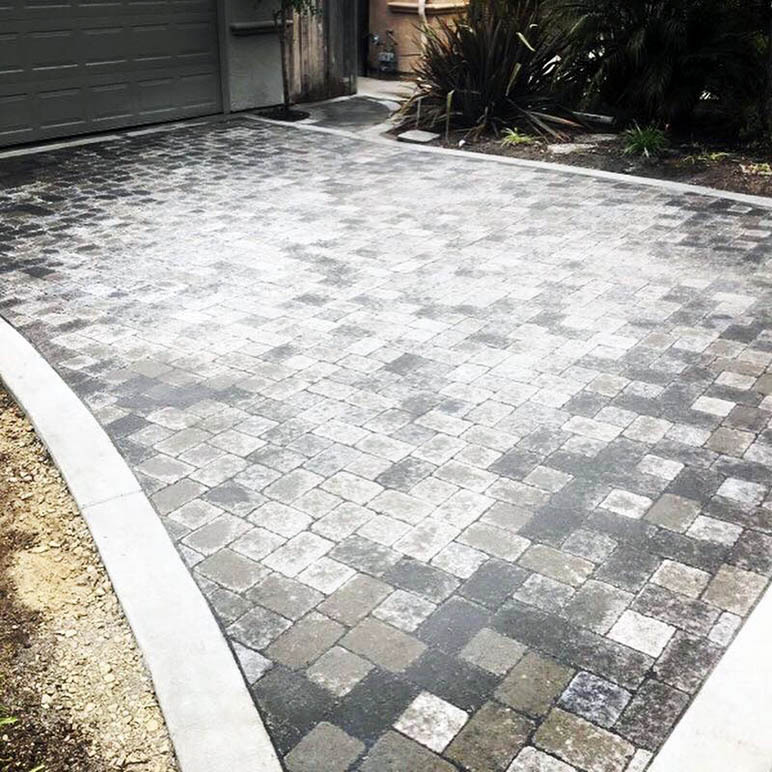 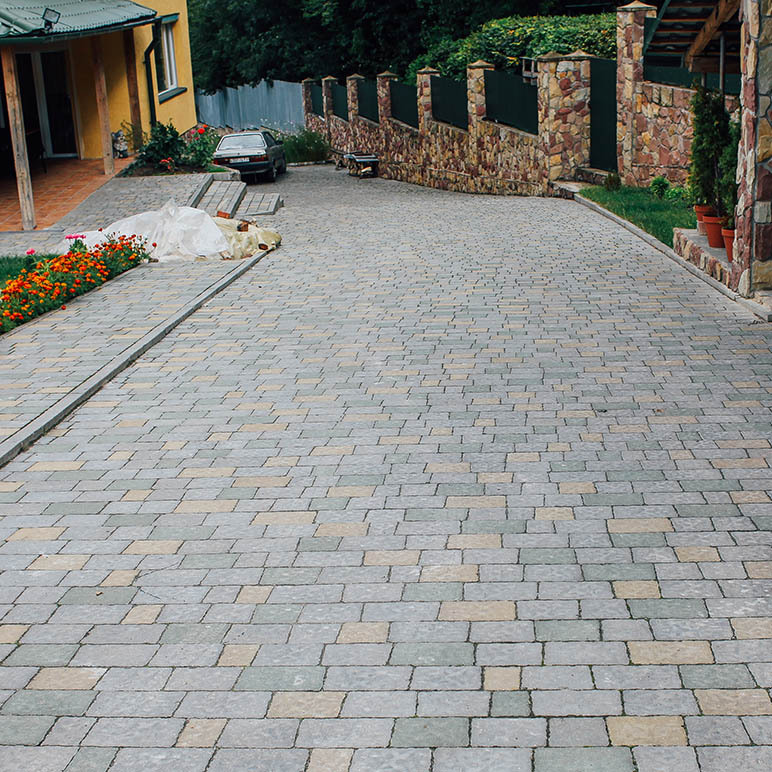 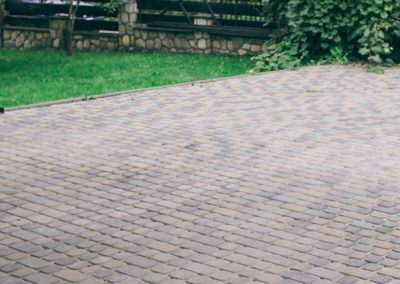 An alternative to a plain, poured concrete driveway, interlocking pavers not only offer an improved beauty and elegance but also better traction especially on steep slopes in wet areas. 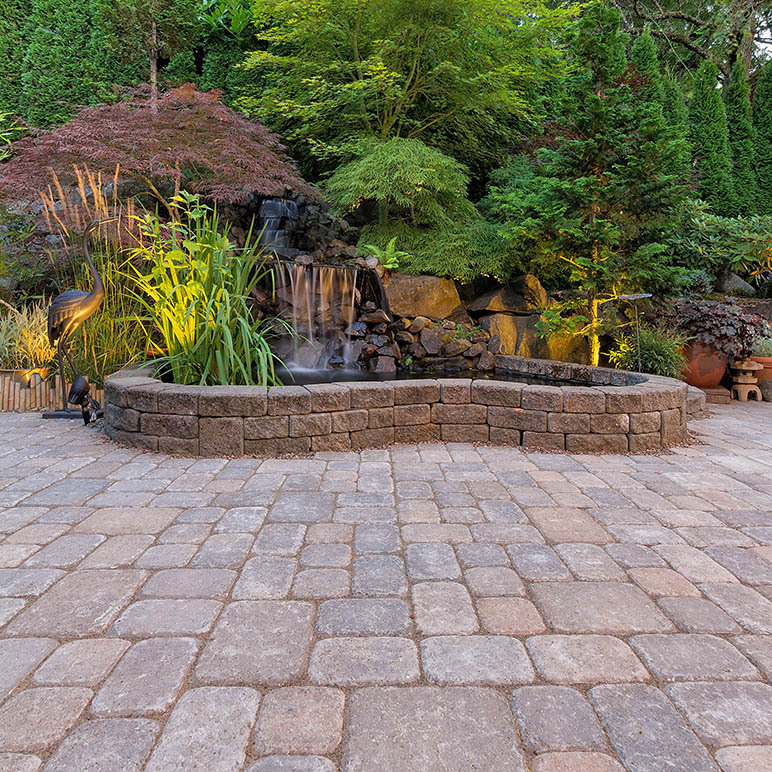 Patios made from concrete pavers will make a lasting impression. 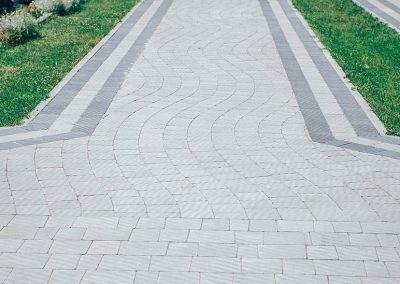 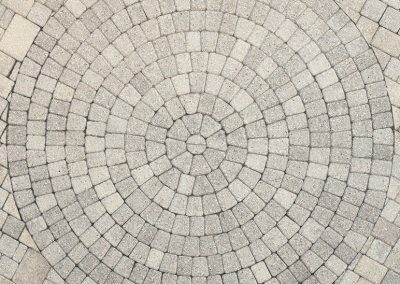 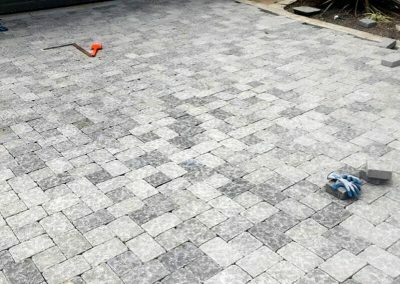 With multiple patterns and colors, there is a paver suited to almost any architectural genre and a welcome in both traditional and modern settings. 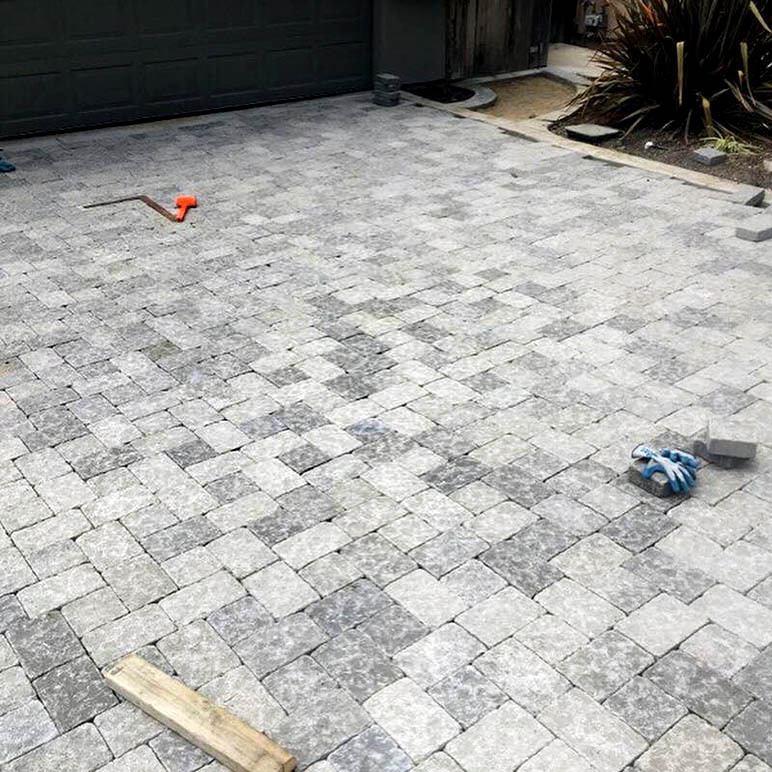 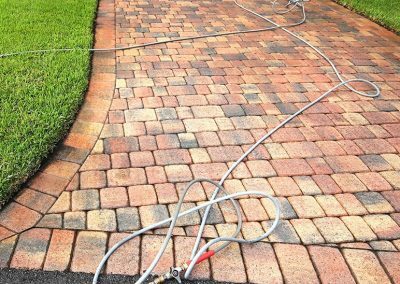 All concrete pavers contain sand, gravel, cement, water, and pigment, but their durability and texture vary depending on how they’re made. 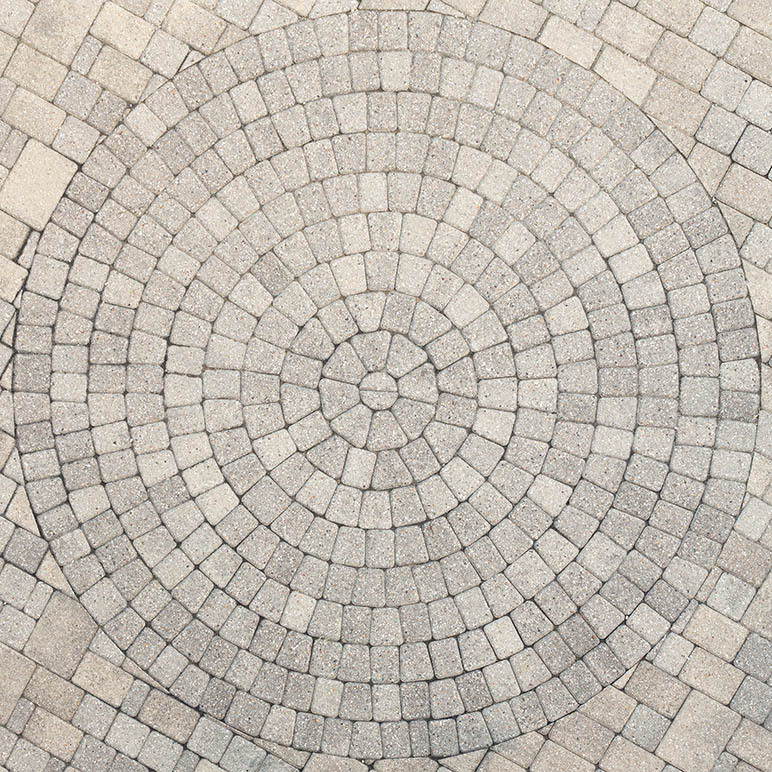 Pavers come in two styles- interlocking and architectural slab. 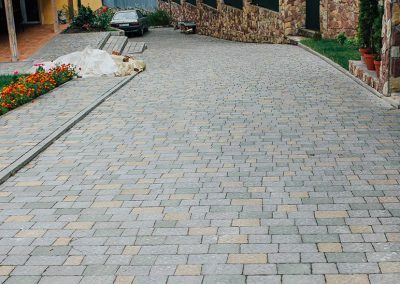 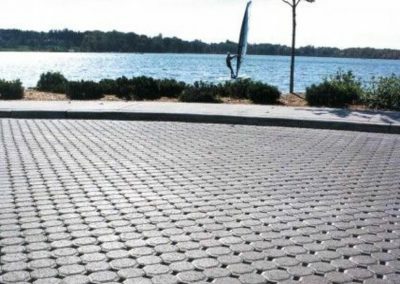 Interlocking pavers have edge spacers to create uniform joints and their strength makes them suitable for any use including driveways. 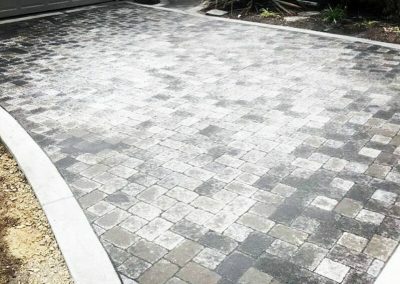 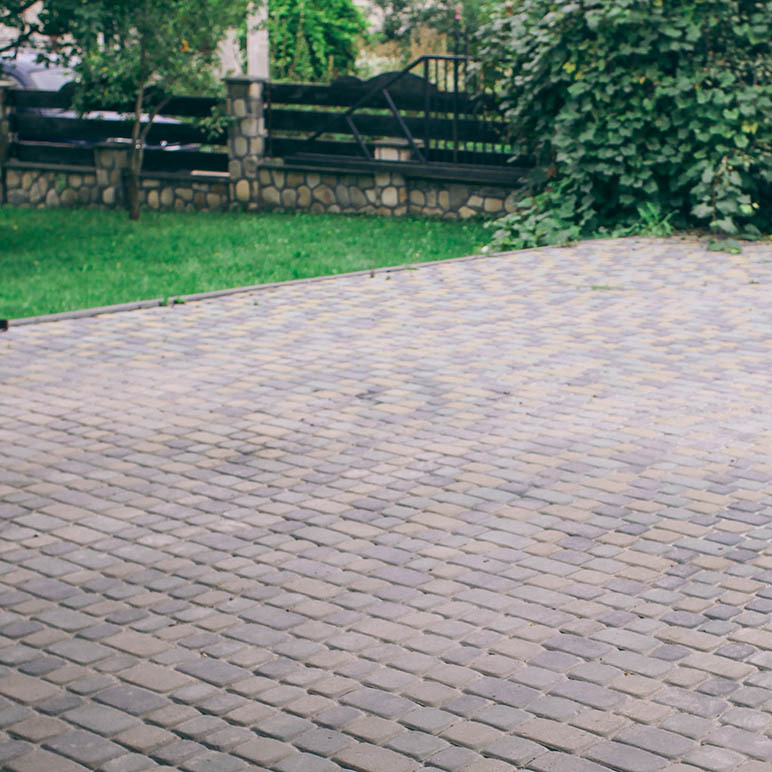 Architectural slab pavers, on the other hand, are thinner and not suited to driveways. 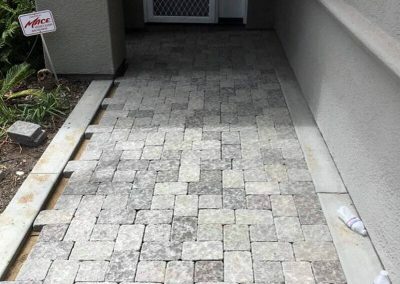 They don’t have edge spacers but do more closely resemble stone or brick.